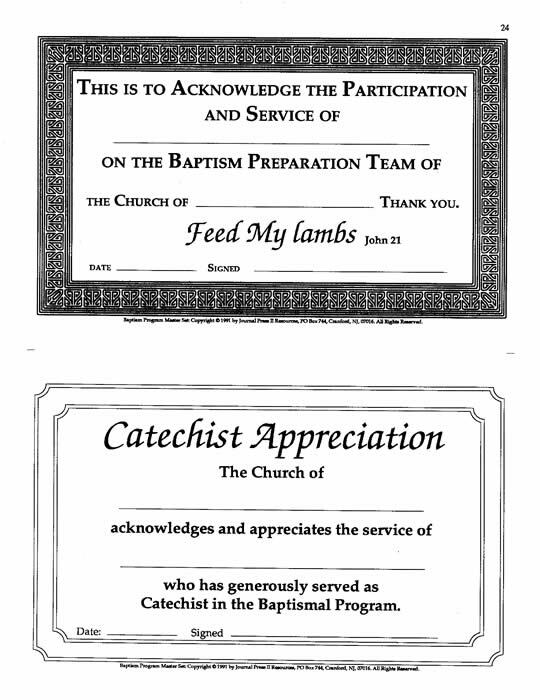 Pastors, priests, DREs, baptismal prep coordinators and teams, and catechists. 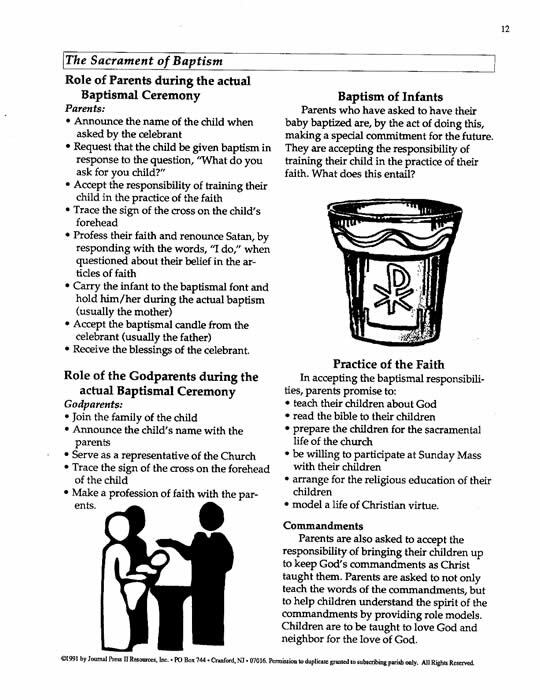 ¥ Organize parish baptismal communications. 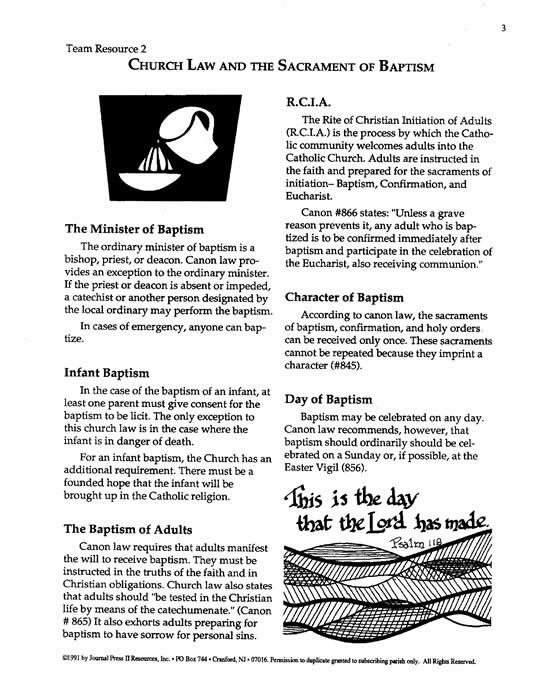 *Parent Information Booklets for Baptism, Confirmation, Eucharist, and Reconciliation available in Spanish. See Folletos para Familias. 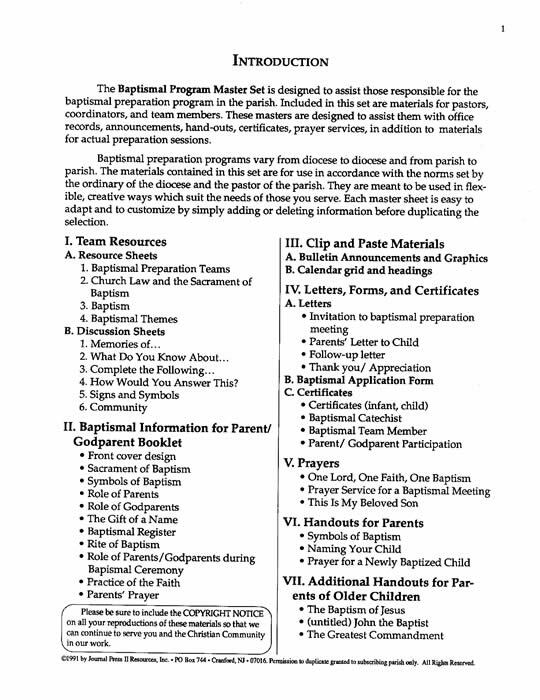 Your purchase (below) will enable the placement of the Baptism Program MasterSet PDF on your computer. You will receive an e-mail to enable your immediate download for the set.